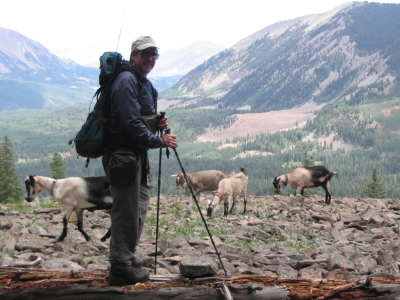 Goats from Summit Pack Goat spent a lot of time in the mountains in 2005. 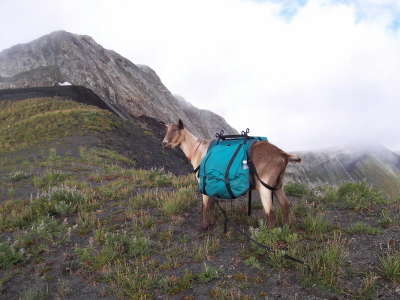 We've included some pictures from our own trips, but we're excited to have customers of Summit Pack Goat sharing their pack goat experiences as well. 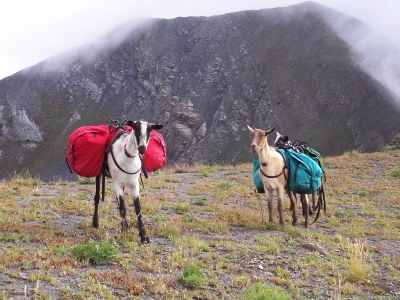 Sure, we can tell you about the advantages of goat packing, now you can hear from people that have bought goats from Summit Pack Goat. 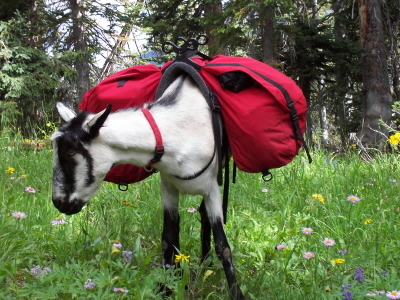 MMMMM, MMMMM, Love those high mountain flowers. 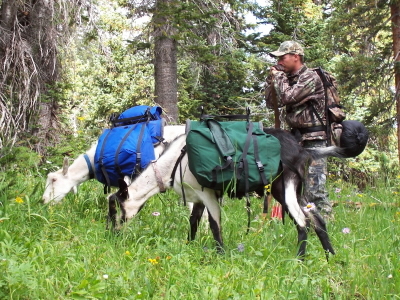 I am an avid bowhunter and have had the opportunity to pack with horses and mules and now with (4) goats. 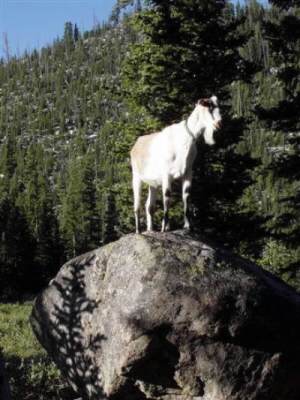 My goats are 3 to 4 years of age and just getting to their prime and have already packed out 3 bull elk from wilderness areas. These guys are 4 wheel drive horses. 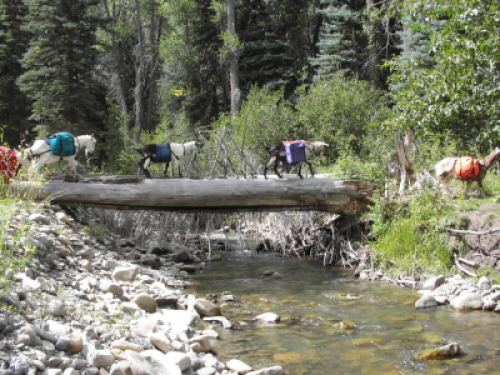 When we get an elk down we walk the goats right to the elk, sometimes across cliffy areas and through downed timber, places that a horse or mule could never get. 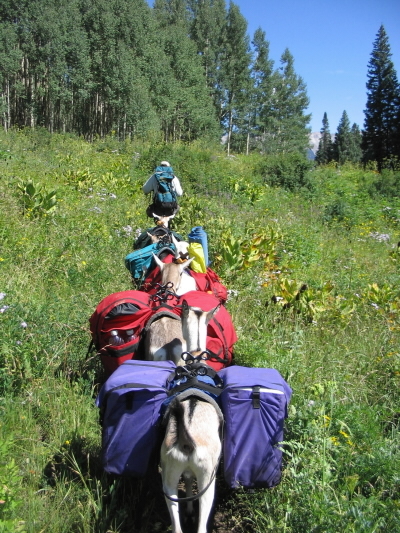 From out of the truck to ready to go with packs and panniers for all 4 goats is about 15 minutes. 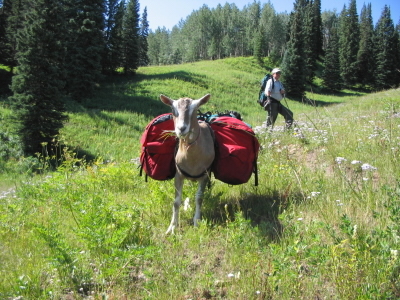 I don't have to pack any feed and the goats are a joy to have around camp. 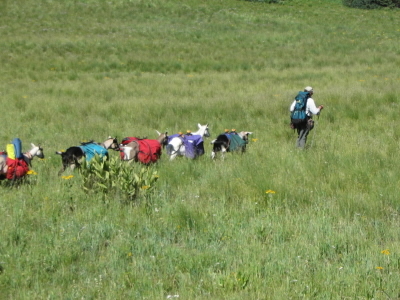 In the off season the goats are easy keepers with no vet bills and all 4 eat less than 1 horse. 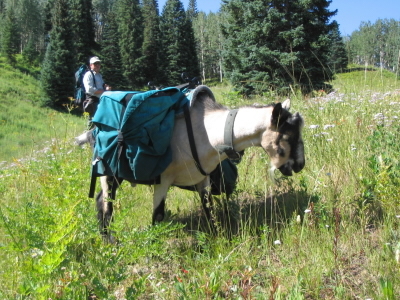 Here recently I went on a hike with a buddy of mine that has donkeys. 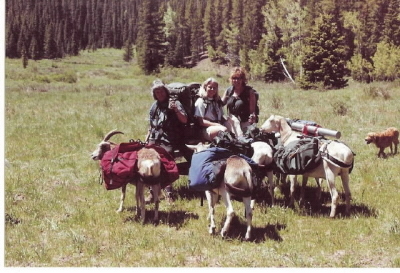 We took 2 goats and 1 donkey. It was snowy and the donkey was having trouble with footing on the ice. 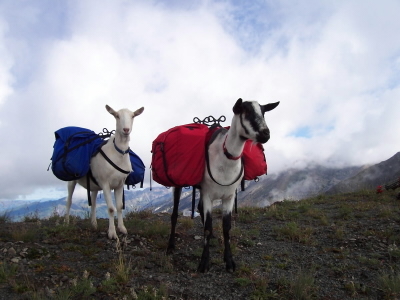 My 2 goats had no trouble at all and kept looking at the donkey with puzzled looks every time he was slipping around. 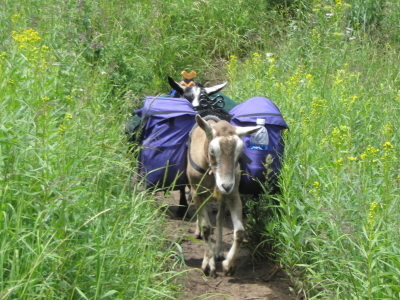 When we got back to the truck( I have a dodge 3/4 ton with a topper and the tailgate is 3 to 4 feet off the ground) my buddy was thinking we would have to find a bank to backup to and when we turned around both goats had jumped up into the back of the truck ready to go. My buddy was amazed. 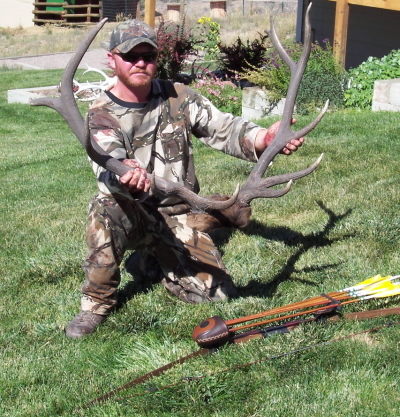 I could have sold him goats right there in a heart beat. Looks like you better be in shape if you plan to follow Dan and his buddies around in 2006. Congratulations on the bulls and we're happy to see those kids growing into great packers. 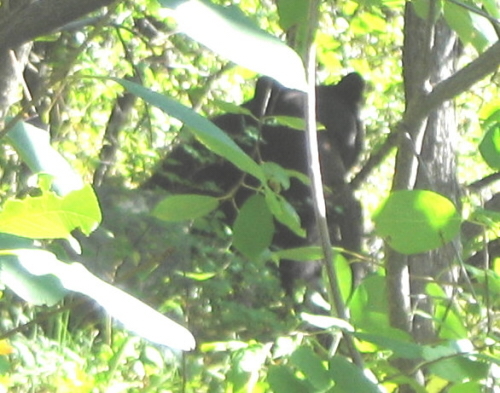 Pictures from Susan in Colorado. Just got back from a packing trip in the Mt. 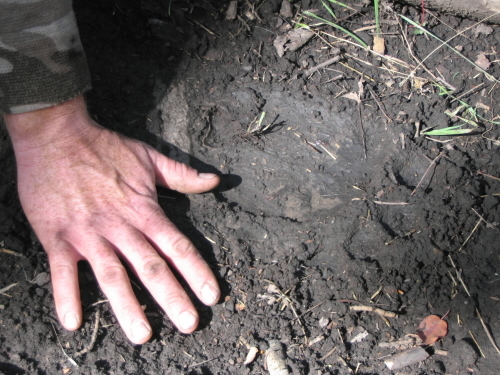 Evans Wilderness area and your guys did great. Will send some pictures in a few days to see if you recognize Dewey, Jack and Grover. They are all getting big. 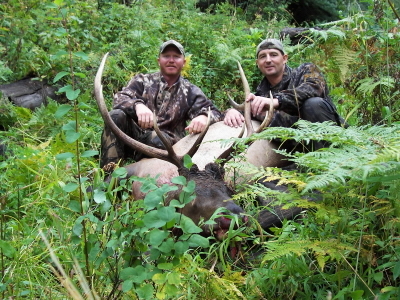 Each of your boys have developed into great animals all with great loving personalities. They will do anything we ask of them, and yes they carried not only the tents and necessary supplies, but also the happy hour! Thank you Susan, the boys look great and maybe a little spoiled too. 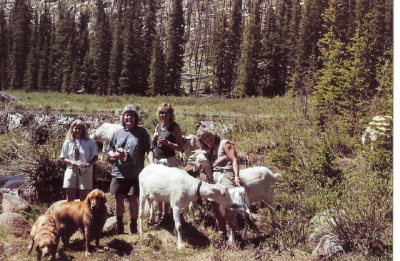 Here's a few pictures from our own trips in 2005. 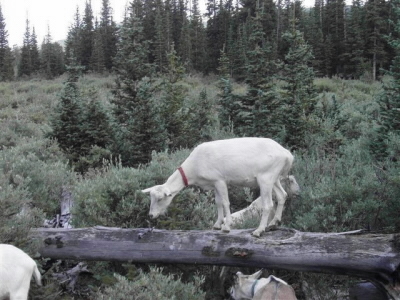 Goats just love to take the log over the creek, all thirteen of them. 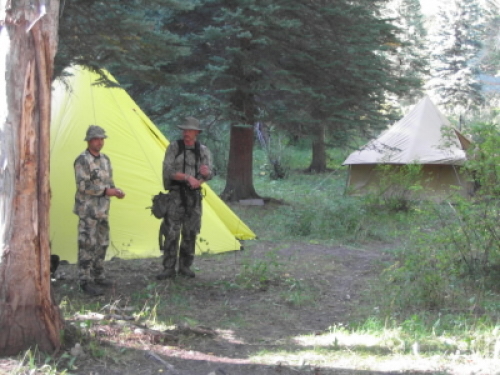 We take up large tents, heated with wood stoves for a comfortable camp, even in the worst of weather. 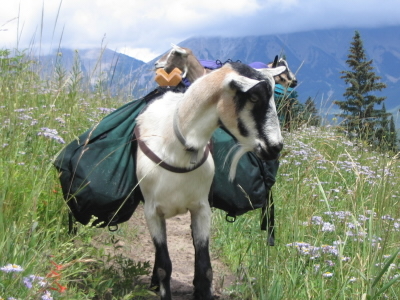 A couple goats can take a load off your back too.